This idea would lead to the first track on the album that would change pop music forever. It was a combination of a few things for Paul. He had recently been in Paris and had worn a disguise so as not to be recognized, it worked well. This, along with his visit to the US where the current fad was long band names like, as Paul remembered; Big Brother and the Holding Company, Jefferson Airplane, and as Paul jokingly ad libbed ‘Dr. Joes Traveling Medicine Band’. 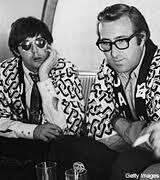 It was usually Paul who came with up these kind of ideas and would present them to the band. 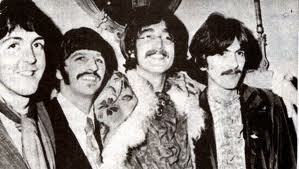 The rest of The Beatles were amused at first but then signed on and the project moved forward. They would be a Lonely Hearts Club Band, with all the accompanying paraphernalia and costumes. 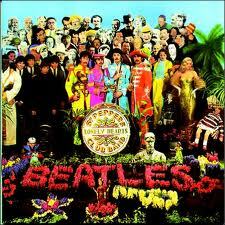 The cover for the album would portray the new band along with a crowd of famous people presiding over the graves of The Beatles. It was supposed to be a concept album, but the idea never took off. The only songs that are connected in theme are the first two; The first being ‘Sgt Peppers Lonely Hearts Club Band’ at the end of which they introduce the singer ‘Billy Shears’ and segue into ‘With A Little Help From My Friends’. Also, near the end of the album there is a reprise of the Sgt Pepper song. Other than that, the album ended up as a collection of songs that they were working on at the time. The entire Beatles record catalog is now in the process of being digitized and we think later remixing so individual tracks are being leaked out. Here are some excerpts from the original 4 track master of the song, 'Sgt Peppers Lonely Hearts Club Band'. The album would go on to redefine the meaning of a rock album, destroying the pre conceived barriers of song form, sonic content, and technical innovation. It continues to inspire the music world to this day.